Blackdragon's Crafts: SMUDGY ANTICS and MACABRE MONDAY. SMUDGY ANTICS and MACABRE MONDAY. The challenge theme this week is a COLOUR Challenge. You may use additional colours in your piece as well, but it must be evident that you have used three colours from the swatch above. Remember to use a stamped image (digi or rubber) and be sure to read and follow the challenge rules posted on the left side bar to qualify for the random prize drawing and the coveted "Top Three" badge. 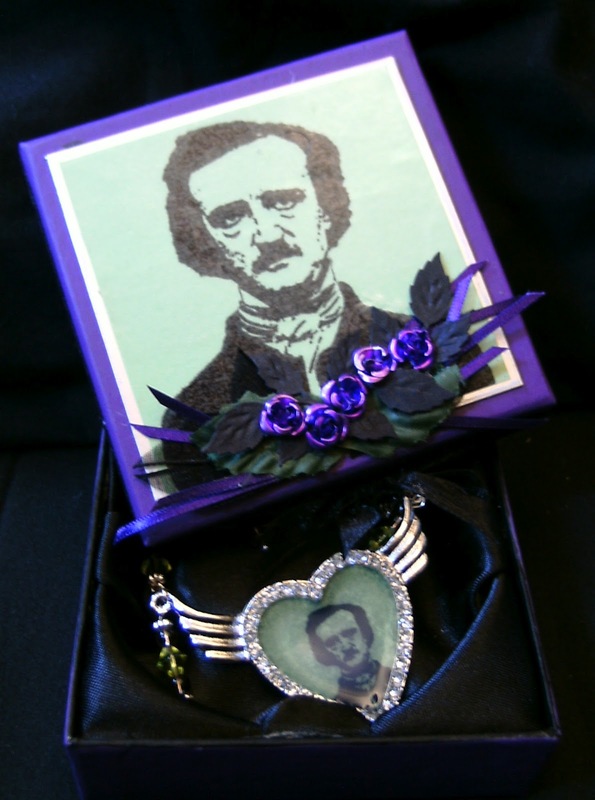 I used Mr Poe from SMEARED INK's QUOTH THE RAVEN ....... the rubber set for the box top, and the digi set for the small image i set into the pendant. 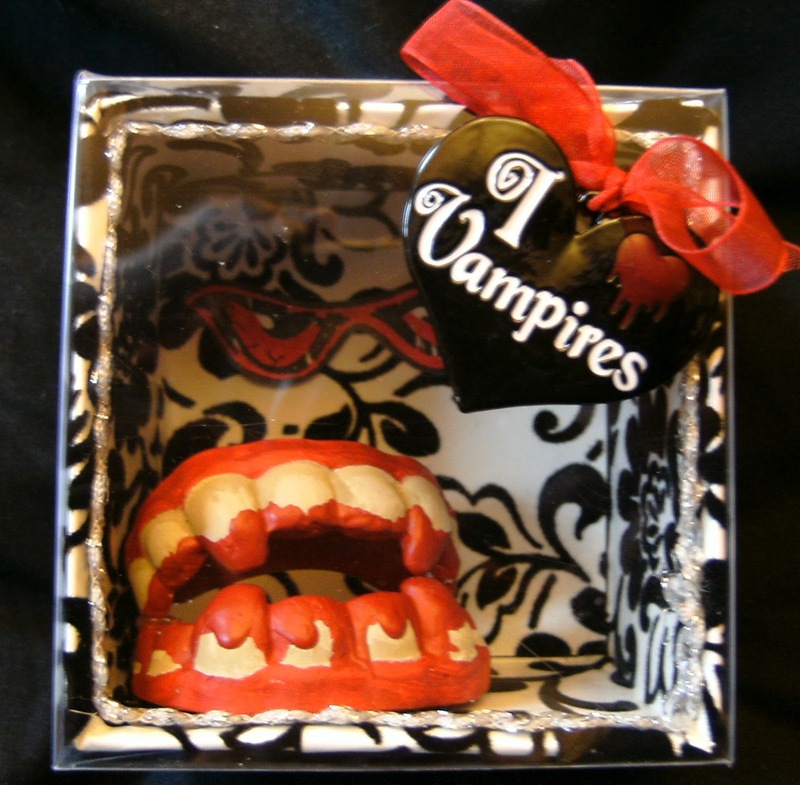 that shows us some chompers, teeth, fangs, dentures, etc.! Creepy toothy grins to wind up teeth! If it has something to do with teeth, we wanna see it! 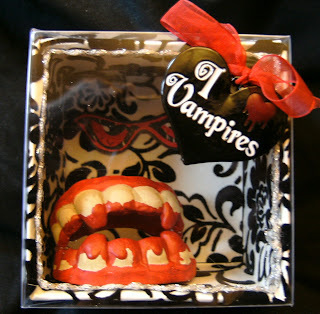 For this challenge i made a set of vampire teeth from clay, in a small display box, with acetate lid, i made from recycled card scraps and the acetate salvaged from kids toy packaging.... dont know who made the stamp i used for the eyes but they are really creepy! The heart is from my jewellery stash. I hope you'll join in with at least one of these brilliant challenges, we love seeing what you create. 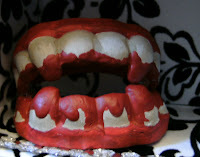 http://scrappersdelightspapercrafts.blogspot.co.uk/ HAVE A GOTHIC TIME. http://doodleartifacts.blogspot.co.uk/ RECYCLE.... AND USE PLASTIC..... i used recycled acetate. Great creations - love the color combination of the first project. Love the color combo. Thanks for joining us at Jackson's Digital Expressions. The jewelry I would buy and the teeth I would display...wonderful continued creativity from you! Love mr. Poe! My English teachers never understood my laughter! Great project. Thanks for sharing with us at Jackson's Digital Expressions. Hope you will become a regular contributor to our AA challenges. Lynx - you know I love both these. I've run out of adjectives and will sound like a parrot soon, if I'm not careful. 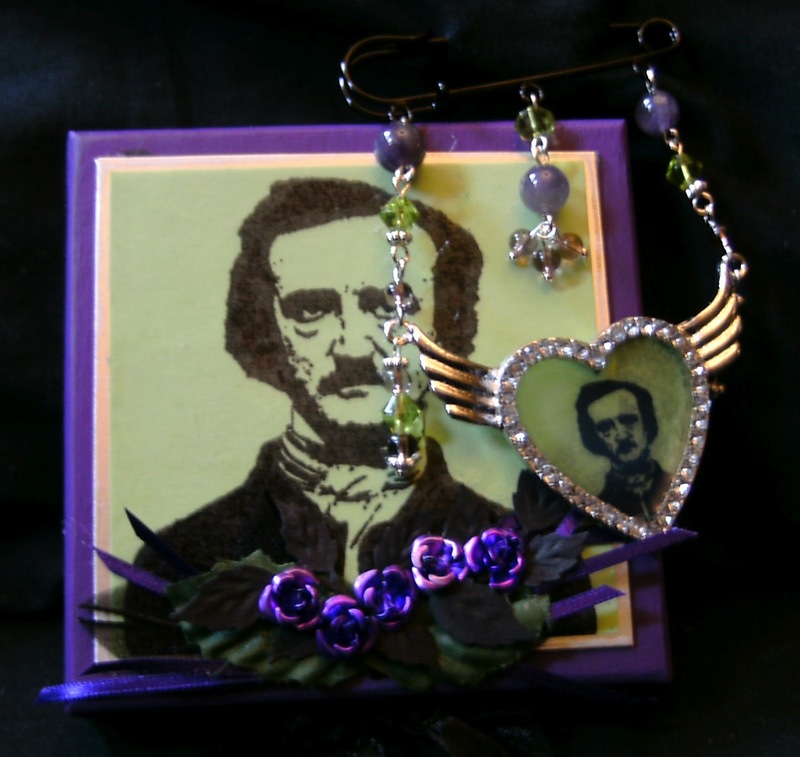 Fabulous Poe pendant and that box is, of course, the perfect partner. LOL this is just fantastic - great teeth!!! Thanks for joining at Recycle, Re-Purpose & Re-Invent - love the recycled card & acetate - great idea!! PS. Your "Poe" creations is amazing too!!! I saw this awesome creation on MIM. your art is always so captivating to me.I love your ideas and expressions of them..always such a treat to come here. What a fun card! You are super creative! I saw it at MIM! Wow, what an unusual entry - I love it! Thank you for joining us at Scrappers Delight this week! Lyn, both your projects are absolutely wonderful, but I just love those teeth. Such a fun creation, glad you shared this with us. Thank you for joining us at Recycle, Re-Purpose & Re-Invent. Most def gothic! Both are really cool! Love those teeth! Thank you for joining us at Scrapper's Delights this week! this is just too cool, I always enjoying seeing your different style, just awesome. I know what to give my gothic friends now.